Why not celebrate the time that children have had at your Primary School by giving them a school leavers gift that they will be able to look back on in years to come. We have a range of cool ideas that will make perfect presents for those moving on next term. 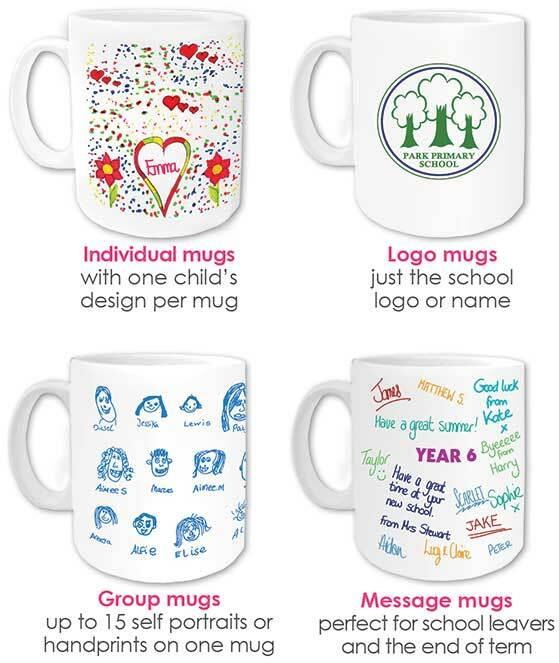 The mugs are available as school photos, drawings, even signatures with a good luck message, they can feature your school logo if required. They are just £4.15 each and they can be used as a gift, or even combined as a fundraiser (our mugs regularly sell for £6 to parents). These are a perfect School Leavers Gift! As an alternative why not try our Water Bottles, or for Nursery and Pre-School Leavers our Teddy Bears have been a popular product in recent years!